While a number of companies have a keen interest in the use of biotechnology for the creation of genetically modified (GM) seeds, there is likely no bigger company with more passion for biotechnology than Monsanto. 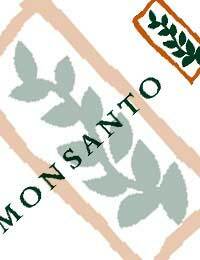 Monsanto is a key manufacturer of GM foods although other manufacturers have generally followed behind the company. The company has a long and controversial history of GM technology and related manufacturing practices, complete with supporters and protestors against the company's approach to GM foods and their products, which are now used around the globe. To really understand GM technology and form your own opinion on whether you want to support or avoid GM foods, it's important to learn about Monsanto because the company has played a leading role in bringing this technology to the world. Monsanto is an American company with offices around the world. They are a top manufacturer of GM seeds and have the largest chunks of the marketplace for various GM crops. The company began in 1901 and has moved through various marketplaces, producing products such as plastics and artificial sweeteners. Monsanto has been immersed in controversy for a number of reasons – one being that the marketing for GM foods is quite aggressive and their work hits key areas of controversy such as politics, the environment and economics. Throughout the last decade, Monsanto was the target of many protests and scathing articles in the media, primarily due to its aggressive policies towards farmers in North America. In fact, Monsanto took many farmers to court, citing violations of Monsanto's patents on GM seeds. In response, farmers argued that the seeds were not 'stolen.' Rather, it was the result of contamination from neighbouring fields that were growing GM seeds. The wind can carry seeds and pollen for a great distance, which leaves farmers supposedly at the mercy of the other farmers who grow GM crops. Monsanto was victorious in one ruling where the Canadian courts ruled that the farmers were at fault because they ultimately made a profit from the seeds, despite their claims to having no control over the technology being forced onto their fields. Controversy picked up even more when Monsanto obtained a patent for a specific breeding method of pigs. The controversy focused on the belief that Monsanto was trying to 'own' the food industry and monopolise everyone involved in it. Other issues include the belief that Monsanto is forcing developing countries to be reliant on its GM seed, which is more expensive than conventional seed. However, Monsanto claims that the benefits of its GM seeds more than pay for themselves. To top off all of this controversy are groups that lobby against Monsanto's products and practices. These range from anger about potentially toxic effects to the environment from Monsanto's GM seeds to health effects on humans. Monsanto remains a top manufacturer of GM foods although the controversy around the company and its practices will probably continue for many years. Still, their contribution to GM technology – whether it is regarded as positive or not – is a significant one that must be recognised as such.